– Girls Night at the school! This week was filled with even more fun, exciting, and educational activities here in Salluit. With only a week and a half left, we are so happy to have had a busy week filled with teaching, extracurricular activities, community events, and exploring the land. On Monday, we taught throughout the school day, and then we had an excellent turnout of 14 students for our Run Club after school! They all did very well, and they are definitely inspiring us to become more active as well. On Tuesday, our full day of teaching was followed by a surprise outing to a community feast in the evening. We arrived a little late, just as the last of the food was being placed on people’s plates, but we did not miss out on the festivities. In Salluit, as it turns out, community feasts involve a huge potluck meal of country food (a.k.a. 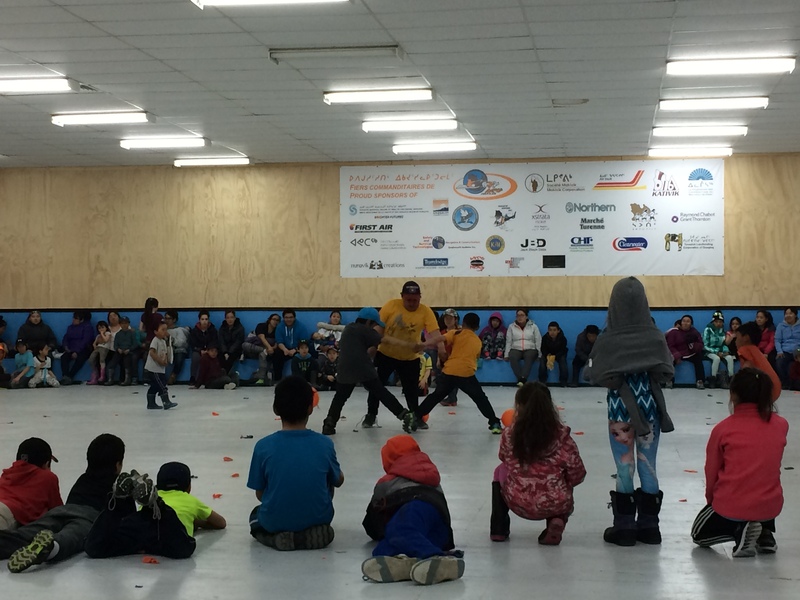 traditional Inuit food such as fish and meat that have been caught by community members) followed by many hours of games, raffles, and other fun things. We were slightly overwhelmed by the number of people when we walked in, but we quickly started to enjoy ourselves as we watched the festivities unfold. One of our favourite events to watch was the balloon-popping competition for children aged 6-11. Each person received a balloon and a piece of string, which they used to attach the balloon to their ankle. Once the game began, it was every man or woman for themselves as they ran around the room trying to pop each other’s balloons. Another favourite – by far the most adorable to watch – was the toddler races, where 1 and 2 year olds raced from one side of the room to the other. So cute! Wednesday after school we hosted our first Girl’s Night, in which we had fingernail painting, drawing, arts and crafts, muffin and smoothie-making, jewellery making and movies. We had 23 girls come out to the event! The girls were happy to have some girls-only time, and they reprimanded the male teachers that came into the kitchen to see what we were up to. No boys allowed! On Thursday, we had another Run Club, and had another great group of students join us. They love running and have become very enthusiastic about coming to Run Club with us! Everywhere we go, students (even some we haven’t taught and we don’t know!) stop us and ask when the next running club is! After another successful Run Club, we headed off to the Fitness Center for a workout. 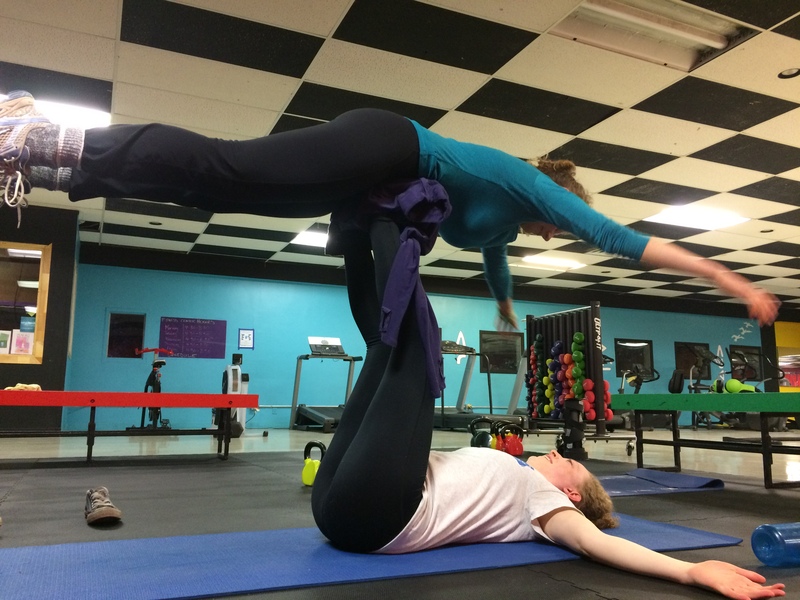 We were inspired to attempt Acro Yoga for the first time – and it sure was a blast! 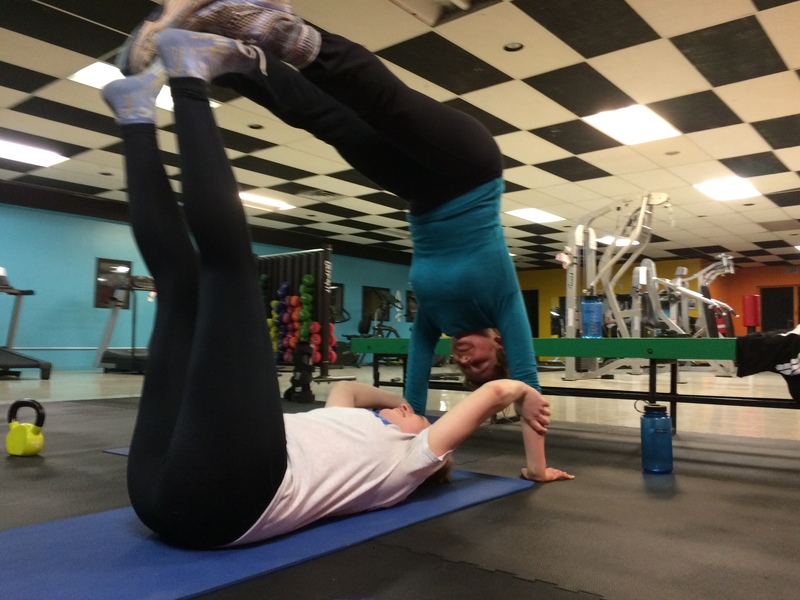 Check out some of our attempts below! On Friday, we held another Ping-pong Tournament for the Primary students. The students taught us how to play Elimination, Ping-pong style. We had a lot of fun learning this new and competitive game. We also discovered how talented some of these students are at beat boxing, and so, of course, we had to end the tournament with a rap battle. As the ping pong tournament was ending, Youth Fusion (a local organization) was organizing their weekly cooking class in the kitchen. We stopped by to help out, hang out with the kids, and eat some delicious food. 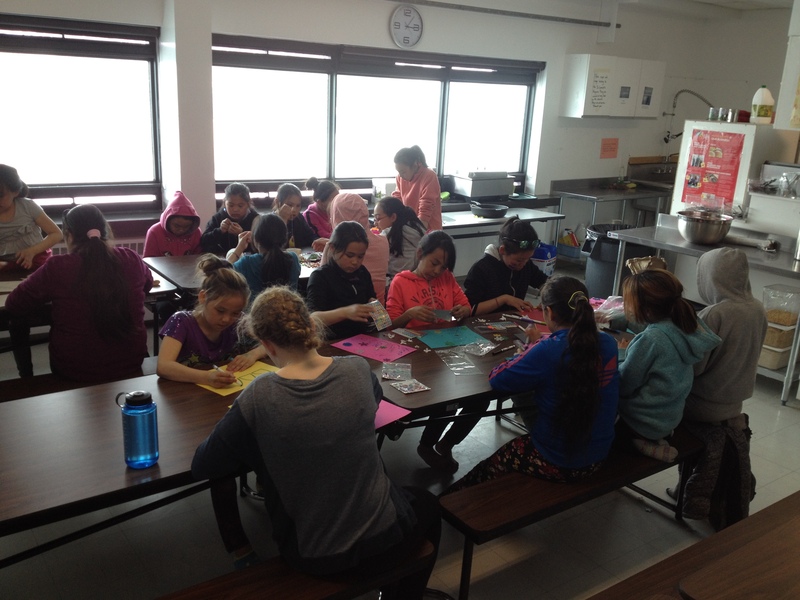 On Saturday, Youth Fusion organized a Wellness & Spa day at the school, open to all women in the community. The event comprised various stations, including massages, nail painting and professional haircuts. 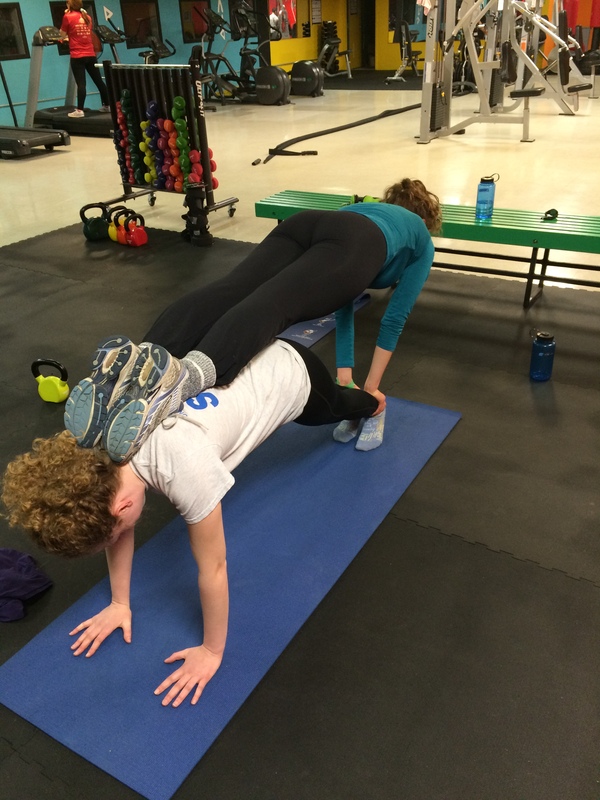 Youth Fusion approached us with the hopes of collaborating for the event – and so we got the opportunity run our own Yoga station in the gym throughout the day! 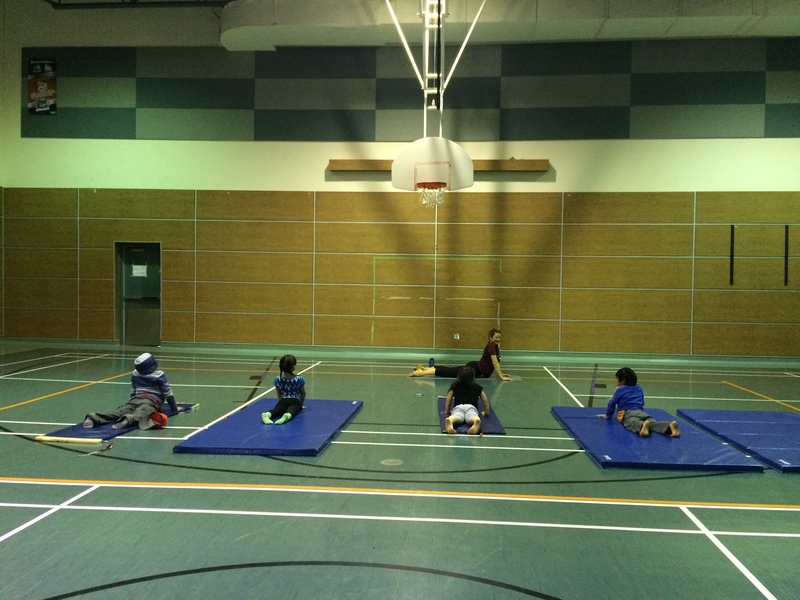 A number of children and adults came out to our station, and enjoyed trying yoga. In the evening, we joined a group of neighbourhood children for a game of Soccer Baseball outside. And we had so much fun! On Sunday, we took the day off and created our own Wellness day, which consisted of drinking copious amounts of tea, playing board games, and chatting with friends. 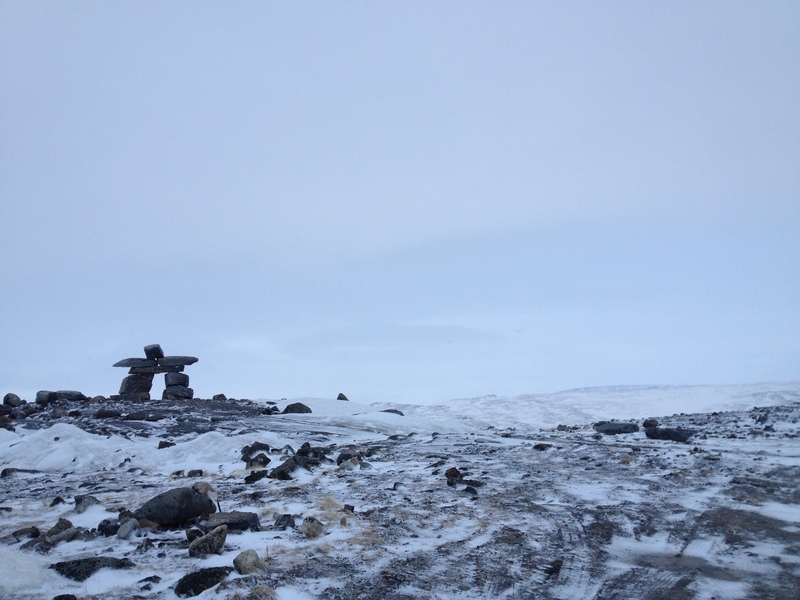 We ended the day with a hike up to the Inukshuk, an awesome landmark in Salluit! The view from the top was incredible!